We've been talking an awful lot about the Motorola Atrix 4G's HSUPA update lately, but don't think that we've forgotten that the HTC Inspire 4G suffers from the same problem. 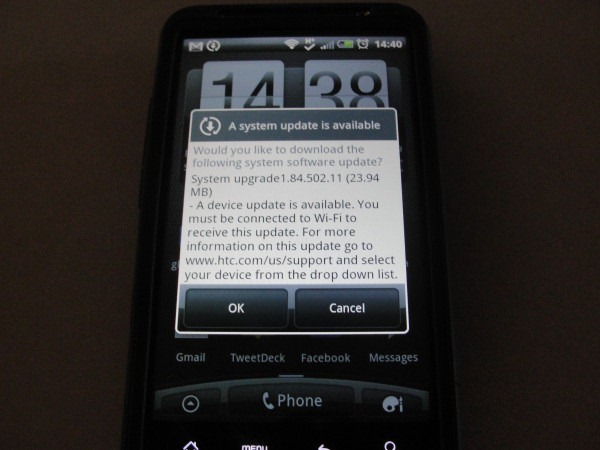 I guess HTC hasn't forgotten either, because the OTA update that fixes this very issue is now live. The update includes a couple of other fixes as well, mainly where email is concerned. After the update, email setup should be much easier, and Hotmail, Live, and MSN email should auto-configure. You can can see if this update is available on your device in the Settings>About Phone menu. Once you've got it, run a couple of speed tests and let us know how it goes.